In the 1940s, Teo Thye Chor and his younger brother, Teo Thye Hong, migrated from the Hui An district of Fujian, China, to Singapore in search of a brighter future. Overcoming early challenges, the brothers formed Tong Eng Brothers after the Second World War, engaging in the trading of electrolytic tinplates used in the production of cans and bottle caps. Responding to the call for post-war rebuilding in the 1950s, the brothers anticipated a surge in demand for accommodation and decided to diversify into property development. A true visionary, Teo Thye Chor saw the potential of the undeveloped precinct of the Paya Lebar district and bought land in the area. Tong Eng went on to develop the land into the first industrial estate in that vicinity. The brothers continued to acquire more greenfield land in the city’s suburbs such as Changi, Upper Serangoon Road, Yio Chu Kang and Pasir Panjang – amassing more than 40 hectares of freehold land. Tong Eng developed some of these lands into houses for lease to the British forces who were in Singapore at that time. Notable projects in that era included Changi Grove, West Sea Garden in Pasir Panjang, Tong Kong Gardens in Upper Paya Lebar and Tong Eng Heights, which is now known as Changi Heights. Tapping into Tong Eng’s tin can business dealings with major oil refining companies such as Shell, Esso and Mobil, the brothers displayed their business acumen by selling land to these oil majors for their use as petrol stations. These land parcels were carved out from tracts that Tong Eng had previously acquired. In doing so, Tong Eng found a novel way to offset most of the land costs. 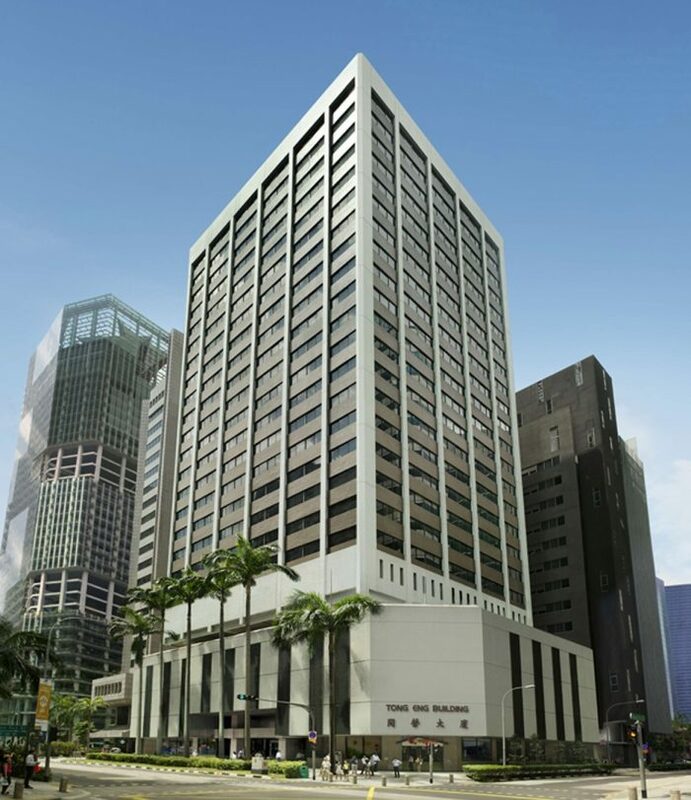 In 1968, Teo Thye Chor’s eldest son Teo Tong Wah, together with his uncle, Thye Hong, took over the company, continued to develop the company’s land bank and pursued the legacy of land banking that its founders started. Tong Wah prioritised the acquisition of many pre-war rent control shophouses adjoining Tong Eng’s own three units at Cecil Street in the heart of Singapore’s central business district (CBD). He then combined them to build Tong Eng Building, a 26-storey office building where the company’s headquarters is located. Over the years, the group continued to develop real estate across different sectors comprising landed housing, condominiums, apartments, offices and retail malls. Some of these projects are Greenbank Park, Green Meadows, Trendale Tower, Stratton Park, Belgravia Park, Serenade Garden, Kew Cottages, Treasure Place, Eminent Plaza, Serangoon Plaza and Poshgrove East, to name a few. Through the last 60 years, Tong Eng Brothers has owned and developed close to 200 acres of land, encompassing office, retail, landed housing and apartment. It has established itself as a leading property developer with a proven track record in delivering high quality projects. Today under the leadership of Group Managing Director, Teo Tong Lim, the family business continues into its third generation. The Tong Eng Group continues to source for investment and development opportunities while developing their landbanks and expanding its Real Estate footprint in and beyond Singapore.